More and more, online buyers have come to expect perks like free shipping. And many will shop around if your store doesn’t offer it. In fact, a PayPal study found that 43% of shoppers abandon carts because they feel shipping charges are too high. On the other hand, offering free shipping can eat into your already slim retail profit margins. Thankfully, there are clever ways to configuring your eCommerce shipping strategy to alleviate the cost of free shipping. You can get all the benefits – and the competitive advantage – of offering free shipping to your customers, without jackhammering your profits. Limit your free shipping by geography. Shipping to Alaska, Hawaii and across borders for example, is generally more costly than shipping to the contiguous 48 states, so you may want to save your free shipping offer for the people in your country or region. How to limit free shipping to a certain zone: You can easily set a Carrier Rule in ShipperHQ to limit free shipping. Read our guide on “How to Set Free Shipping for a Specific Zone” here. As shoppers, we’ve all run into online stores offering “Free shipping on purchases over $50.” Why not be that store? The threshold persuades shoppers who may have visited your store for one thing to add extra items to their carts, and ensures you make enough profit on the sale to cover the cost of free shipping. How set promotional shipping thresholds: In ShipperHQ, you can set promotional thresholds in just a couple minutes by adding a new Filter and Carrier Rule. Find out how either by checking out our step-by-step guide on “How to Offer Free UPS Ground Shipping on Orders Over $X” or by watching this quick walkthrough. Offering free shipping on a refrigerator is likely going to cut into your margin on said refrigerator, and on other sales besides. Be sure to limit free shipping to lightweight products. How to limit free shipping to certain products: Login to ShipperHQ and create a “Shipping Group.” From here, you can exclude any product(s) you want from any free shipping promotions your store offers. Read all about “How to Exclude Certain Products from Free Shipping on Orders Over $X” here. They say you’re not supposed to pick favorites. But honestly, segmenting customers can be a great way to reward frequent buyers, long-time customers, big spenders, customers in a certain geographic location, or any other customer group to whom you’d like to offer free shipping. How to offer free shipping by customer group: Most eCommerce platforms allow you to segment customers into Customer Groups. Once you’ve segmented your customers in the backend of your preferred platform, you can then set up a Carrier Rule in ShipperHQ. Find our step-by-step guide on “How to Set Free Shipping for a Specific Customer Group” here. Chances are your customer wants their order yesterday. One strategy to keep shipping costs from getting out of hand is to offer free shipping on slow and low cost methods like economy and ground (and even delay the dispatch on these goods), but charge as usual or even add a surcharge for two-day or next day shipping. Why a surcharge? Keep in mind that many customers need their item as quickly as possible, and adding a surcharge to faster shipping will help defray the cost of offering free shipping to customers who don’t mind receiving their items at a snail’s pace. How to add a surcharge to certain shipping methods: ShipperHQ allows you to easily set surcharges on certain shipping methods. Find out how in our “Use a Carrier Rule to Mark Up a Specific Shipping Method” guide. Size matters. The size of the box you ship your product in, that is. To save money on dimensional shipping, instruct your pickers and packers to use the smallest box or packaging unit available for the order. And try to pack multi-item orders into one package whenever possible. You’ll automatically save on shipping when you use the smallest size boxes and the least amount of cartons. How to maximize savings with dimensional shipping: ShipperHQ’s Dimensional Shipping Advanced Feature can guide your pickers and packers to the right box for every shipment, a feature that most eCommerce carts built-in shipping lacks. Turn on Dimensional Shipping in your ShipperHQ account to achieve more accurate shipping rates especially when getting rates from carriers like UPS and FedEx or when using USPS Flat Rate boxes. 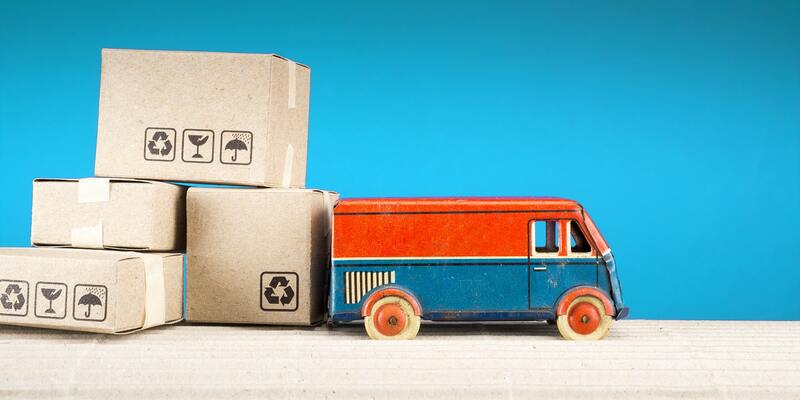 Are free shipping costs battering your margins? Try a 30-day free trial of ShipperHQ and let us get you back in the black.